The Brazos Theological Commentary on the Bible encourages readers to explore how the vital roots of the ancient Christian tradition should inform and shape faithfulness today. 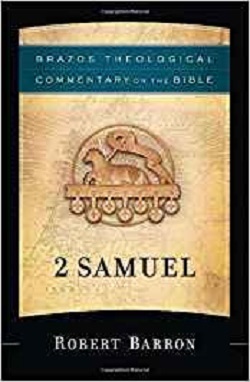 In this addition to the series, acclaimed author, speaker, and theologian Robert Barron offers a theological exegesis of 2 Samuel. He highlights three major themes: God's non-competitive transcendence, the play between divine and non-divine causality, and the role of Old Testament kingship. As with other volumes in the series, this book is ideal for those called to ministry, serving as a rich resource for preachers, teachers, students, and study groups. The general editor for the Brazos Theological Commentary on the Bible is R. R. Reno (editor, First Things). Series editors include Robert W. Jenson (Center of Theological Inquiry); Robert Louis Wilken (University of Virginia); Ephraim Radner (Wycliffe College, University of Toronto); Michael Root (Catholic University of America); and George Sumner (Wycliffe College, University of Toronto).